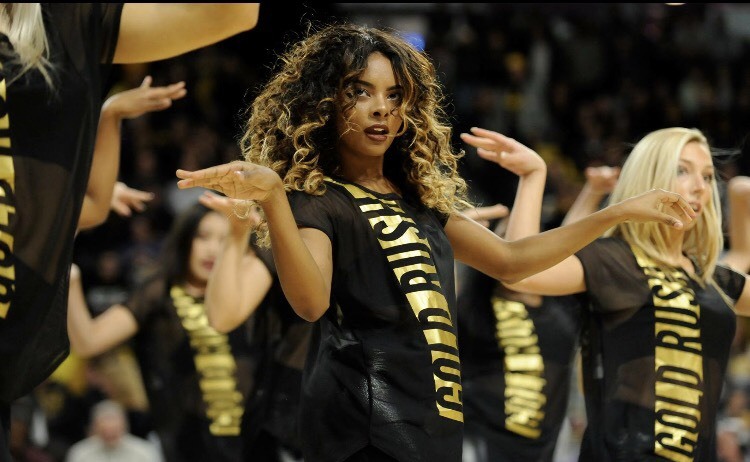 VCU's Gold Rush Dance Team is taking the East Coast by storm! 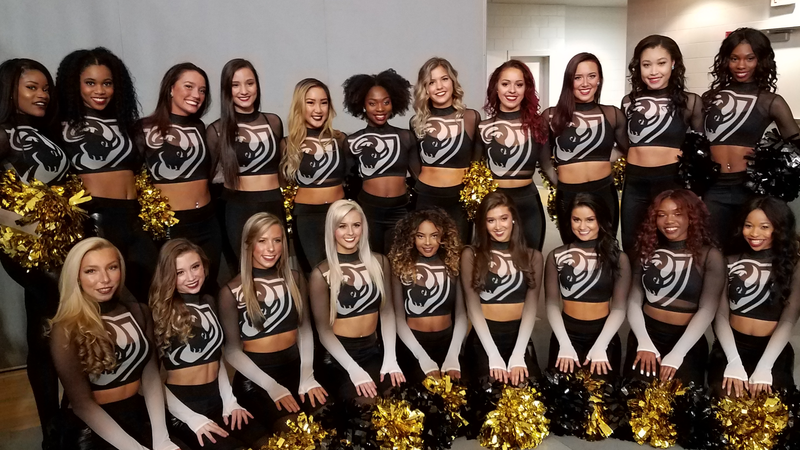 Made up of 22-26 girls with various backgrounds, from ballet to tap to cheer, the VCU Gold Rush Dancers are quickly becoming known as "one of the top squads on the East Coast." 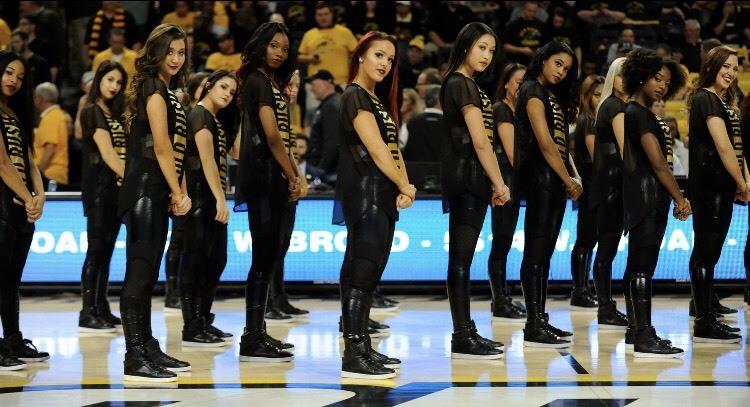 Under the direction of coach and choreographer Vicki Wells, they perform at all VCU men and women's basketball games. After watching their video below, we couldn't agree more that this team is something special! "A few years ago, our school redesigned our logo to make it more modern and sleek, and because in the past we've generally stuck to our team colors, we wanted something that was eye-catching but also featured our new shield. 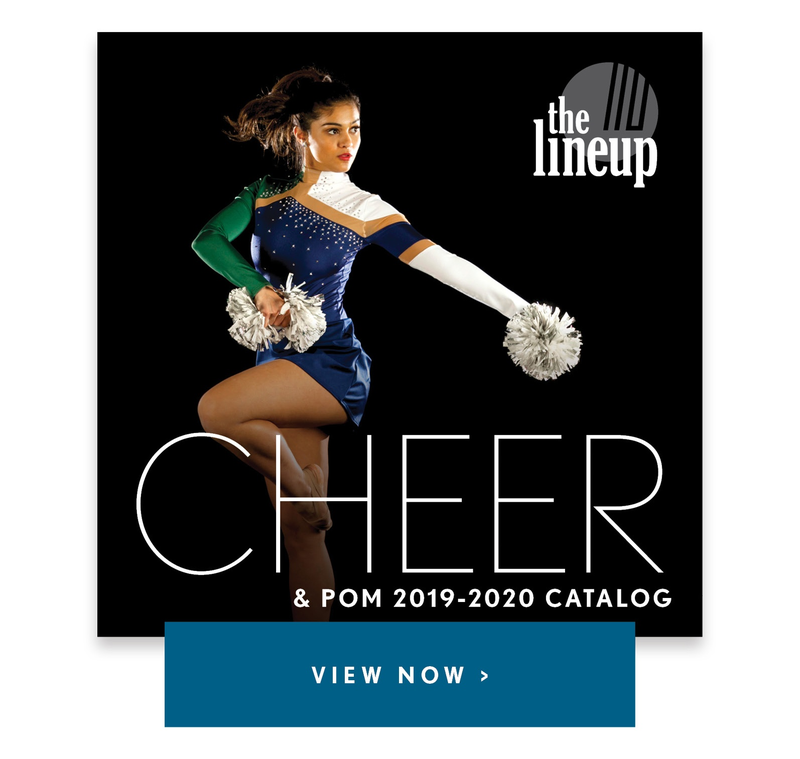 In addition, we desperately needed a few pieces for hip hop routines, and as soon as we saw the Line Up's feature on the Detroit Lions Cheerleaders we totally fell in love with their tops and recreated them in our own colors using the new logo. 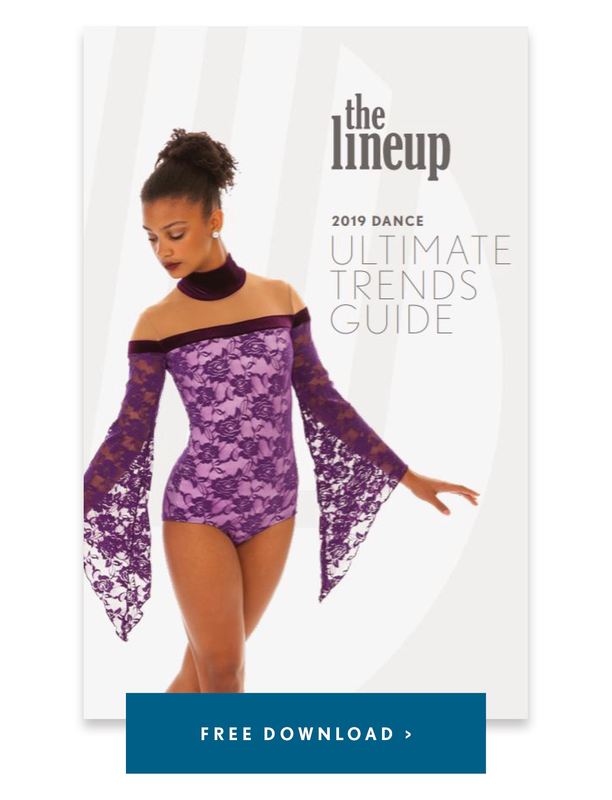 We really loved all the mesh inspired looks in the catalog this year and when we noticed a black mesh shirt designed especially for us, we jumped on the opportunity to purchase it knowing it would be a great way to incorporate our team name, "Gold Rush". Lastly, our Director, Vicki Wells wanted custom black leggings that could be worn for various routines. She spent weeks working with Megan to design just the right look for our team and we're so happy with how they turned out." More Q & A with Christian, below! We love to dance to anything that's upbeat and gets the crowd moving. As of recent we've noticed the crowd loves when we throw in an old school jam into a routine every now and then. Our focus on creating great dancers as well as successful young adults and providing a close-knit family environment. Our team has always been very close and we make an additional effort to incorporate our alumni in our program to act as mentors to the girls and assist them as they navigate through college and into the real world. Our goal is to create fantastic dancers, but also fantastic successful human beings who are fully prepared for the real world post-college life. In addition, because our team mimics a professional team, we want our dancers to be fully prepared to walk into any audition post Gold Rush. We are so incredibly lucky to have several dancers who have gone on to successfully dance for the NFL, NBA, various dance companies, Broadway, various musical artist, and more. There are so many big games that stand out over the years, but this year we danced at the VCU vs. Texas home game which was the first time our former basketball coach, Shaka Smart, visited the Siegel Center. It was a nostalgic moment for everyone and the loudest we've heard the Siegel Center in years. If you've never been to a VCU game, the environment is like none other. We are so lucky to have such supportive fans who make each game feel like the NCAA tournament. We have a team of technically sound dancers, but we made an extra effort to push them to their limits this year and challenge them to be even better. By incorporating new tricks and technical elements we were able to wow the crowd in ways we never had before. We incorporated a partner trick in the routine above that got quite the reaction from our fans and we always love when the crowd is fully entertained.